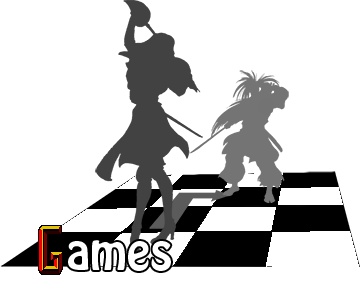 Major upgrade with several game tweaks and inclusion of PS2 exclusive characters. Ver. 1.07 bundle released along with Carnival Phantasm: Season 3. Released at Comic Market 81 as commemoration to Type-Moon's 10th Anniversary. 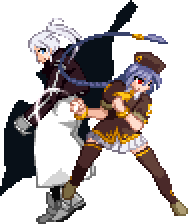 During Sion Tatari's Last Arc Drive, Riesbyfe Stridberg will make a small appearance. 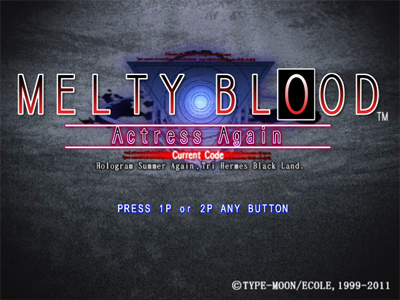 But it was not until Melty Blood: Actress Again she made her debut as a playable character.